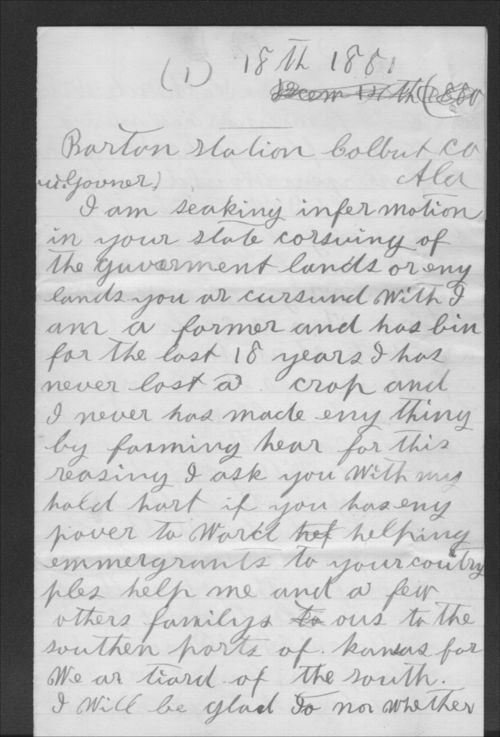 Richard West, a resident of Barton Station, Alabama, wrote this letter to Kansas governor St. John requesting information about available land in Kansas. West was a farmer who described in some detail many of the concerns facing emigrants, including transportation and other expenses. In addition to his role as governor of Kansas, St. John also served on the Board of Directors of the Kansas Freedmen's Relief Association. This letter provides another example of the African American perspective on why emigration was necessary.